One of the things that make HighLow an excellent binary options trading alternative is the fact that it’s a regulated broker. They also offer their services in several places around the world including Australia, Europe, Africa and the Middle East. Unfortunately, USA binary options investors cannot use the services offered by this broker, however, for US traders we have Binary Option Robot or BinaryCent. The HighLow broker also features a trading platform that is super easy to navigate and to use. These are important features when placing trades and learning about binary options trading. In addition, the HighLow website is well designed, unlike many others that are cluttered with a lot of useless information. HighLow staff ensured us different promotions are nothing out of the ordinary in their company so future traders can expect a lot of goodies. Current promotion includes up to $50 cash-back on the first trade. HighLow is a brand of HighLow Markets Pty Ltd, an Australian company, holding an Australian Financial Services License, number 364264. 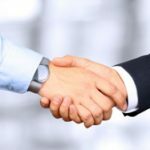 As we have said before, regulated brokers offer several distinct advantages over non-regulated brokers when it comes to transparency and how they manage the money that is deposited by traders through the web broker. Regulation also establishes a set protocol for complaints and requirements for insuring funds, just like a national bank does.Since it is an Australian site, those who favour trading in Australian dollars will not lose money on the rate exchanges to other currencies. The sign-up incentives on HighLow are above the standard offerings in the industry. They are currently offering a $50 cash-back on the first trade to all new traders that sign up with them. The sign-up process to trade with HighLow is relatively straightforward and uncomplicated. 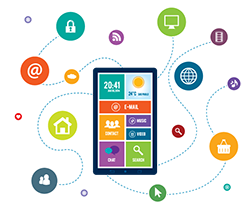 One of the best features of the HighLow web broker is the large variety of option choices that this website provides. They include some advanced and potentially profitable options. Traditional options typically pay as much as 200% returns, while the more advanced option types, pay up to 100% return on investments on successful trades. These are exceptional returns when compared to other binary option website payouts. When reviewing the HighLow brokerage site, we also found that not only does the expiration time impact the trade, but the spreads on the trades also give the investor a little tighter control over the outcome of the trade; this is a really beneficial feature for the trader. Another outstanding feature is HighLow’s demo account. This is one of the easiest and most effective ways to learn how to trade binary options if you are new to this type of trading. It even helps veteran traders learn the platform when they first start trading with HighLow. The creative team at HighLow have incorporated the demo mode into the site so you don’t even have to sign up in order to use the demo services. When you first join the site, you will be given $10,000 of practice money to use with the demo account. The eye-catching yellow-orange and black color scheme of the HighLow website is nicely laid out and immediately gives a professional look. On the homepage, you will find information about the types of binary options assets you can trade, the option types available, and the sign-up bonus. The transient screen also displays information about the distinctive features of the site. HighLow’s website uses MarketsPulse as a trading platform, providing its customers with a smooth and hassle-free experience. They’ve also partnered with a data streaming company, Leverate, which provides safety and security for clients’ data. Also, the Trader’s Choice option on the platform activates after four executed trades and this provides real-time market sentiment of the traders online. Taking a closer look at the assets, each one comes with a price chart and payout option alongside the trading time window. The 80+ assets available for trading include: precious metals like gold, a few stock indices (HKG33, UK100, US30, JPN225, and AUS200), and several currency pairs (including the most popular, EUR/USD, along with others like USD/JPY and EUR/GBP). Navigating the site is a breeze. The creators have maintained simplicity and they have provided easy access to information including the broker’s FAQs, opening a demo or live account, choosing your preferred language (English or Japanese), as well as operational information on executing trades using their platform. HighLow also allows traders to easily execute demo trades with one-click access…without even requiring your registration with the site! So, if you’re interested in trying out HighLow, then definitely take advantage of their demo feature (whether you register or not), particularly if you’re a new trader who has always wanted to practice trading with virtual money, before risking any real money. On the first tab of the HighLow platform, you can choose the normal High or Low trading option. This option gives you a payout of up to 200% of your invested amount on a winning trade, which is definitely among the best trade payouts in the binary options industry. So, by purchasing an option for the lowest investment amount ($10), you will receive a $9 profit payout if you win the trade. HighLow provides several quick expiry options for those who prefer fast-paced trading. You can choose 30, 60, 180 (3 minutes), or 300 seconds (5 minutes) for short-term trades. You also get to enjoy the option of profiting on spread trading various assets, which can give you payouts of up to 100%. (More advanced options offer payouts of up to 200%). The spread binary options, combined with the short-term or turbo trade options, allow traders to diversify their trading portfolios and to trade a variety of expiry times. HighLow also places limits on the maximum amount of money you can invest per trade and the exposure you can take at any given time. Other platforms tend to have lower restrictions with regard to this, so it’s something to keep in mind. Very few brokers available in this industry are actually regulated. You will find plenty of binary options brokers worldwide who don’t answer to any regulatory body, or who face some loose criteria that allows them, with very little capital, to open a brokerage company. 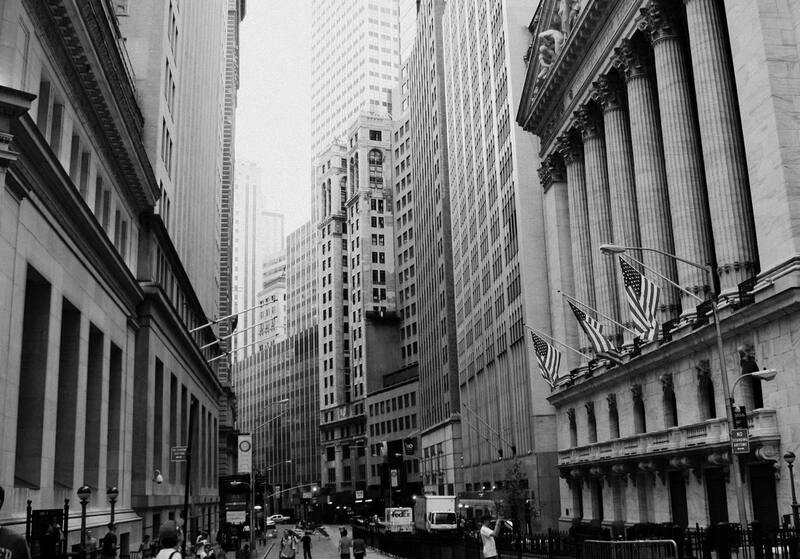 As a result of a lack of funds and the need to quickly raise capital, many unregulated brokers quickly succumb to the temptation of using traders’ funds and other shady tactics in order to run their business. In some cases, some brokers are simply fly-by-night operations which are designed to take your money and run. Or, at the very least, they will make it impossible for you to withdraw your funds upon request…assuming you have any left to withdraw from your account. 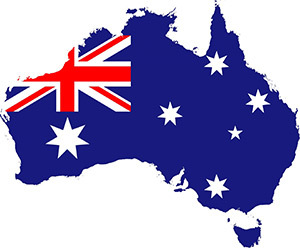 The country of Australia is unique in that it’s especially difficult to find a brokerage company based there who has an official license. This is thanks to requirements of the official regulatory body, the Australian Securities and Investment Commission (ASIC), in order to be recognized as a regulated broker. And having directors and other key personnel with years of trading experience. In addition, experts advise against using the advice of your broker to make trading decisions. Thanks to the ASIC, HighLow will only offer advisory services to its traders within the regulatory requirements and this is only provided by trained staff members. The company also does not have automated trading capability, so you will need to use a trusted signal service, or your own trading method, in order to execute binary options trades manually. It is among the most user-friendly platforms we have ever tested. The site is laid out in an easy to read manner yet it still contains a wealth of informative and important information. The option choices are displayed in what the website refers to as the ‘binary options carousel’; this format makes it really easy to sort through and to select from the many available options choices. The traditional High/Low option is offered, of course, with this being the name of the web broker as well. Under the Quick Facts section, you will see that the typical returns on investment are as high as 200%, with some more exotic options offering returns of up to 100%, These return on investment offered by HighLow, are among the highest returns on investment among other binary options brokers in the industry. Trading can be done by investing as little as $10 per trade. This is great if you are just starting out and don’t want to risk a lot of money until you have learnt more about how to trade. The broker also caters to traders that enjoy fast trading, with short expiry times and they offer 30 second, 60 second, 180 second (3 minute) and 5-minute expiration times. The ‘option on demand ‘feature makes trading highly flexible and is a favourite for those investors who like to take advantage of short term patterns and other specific dynamics of the trading environment. 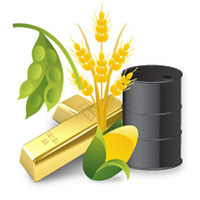 Another type of binary option that is offered on the website is FOREX Spread High/Low Trading. Spread trading is ideal for those investors that like to trade in a high risk and high reward type environment. Return on investment with this type of option can be 100% or higher. There is also a convenient mobile app that can be downloaded to your smart phone or other smart device. This a great feature that offers flexibility and convenience to those that are limited in the amount of time they have to trade in front of their computers. During our testing of the HighLow support, we found their customer service to be responsive and professional. They offer service that is well beyond that which is required by the regulations they fall under. It is really impressive when a website goes the extra mile in order to take care of their investor’s questions and concerns. An internet search revealed many positive reviews of the HighLow website. Even their highly informative FAQ section is outstanding. The best way to access customer support for the broker is by using e-mail. They answer your questions and concerns quickly as long as the question you have is not thoroughly covered in the FAQ section; we did not have a problem with this because their FAQ section is laid out so well and is easy to understand. While we were initially surprised by the fact they do not offer live chat support, their phone support is a more than adequate replacement for this feature. Contact with Customer Support can be done in both Japanese and English. Neteller and credit cards seem to be the preferred methods for transactions with this binary options web broker. The minimum deposit for both is a low $50; one of the lowest deposit amounts in the industry. 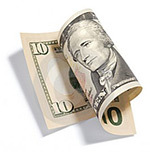 The minimum deposit for bank wire transfers is an extremely low $10. Transactions are simple and done in an encrypted environment for security purposes. Customer funds are kept segregated for security purposes and safekeeping. The commonwealth of Australia has strict rules regarding banking and all trader funds are placed in a trust account with the National Bank of Australia.You can have peace of mind that your funds are secure with the HighLow web broker. 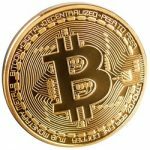 There are many unique features that can be found on the HighLow website and this innovative site is a little bit of fresh air when it comes to trading binary options. The number of option choices is outstanding and their free demo account is the icing on the cake. We have no problems at all recommending HighLow and encourage all traders to go ahead and try out this broker. 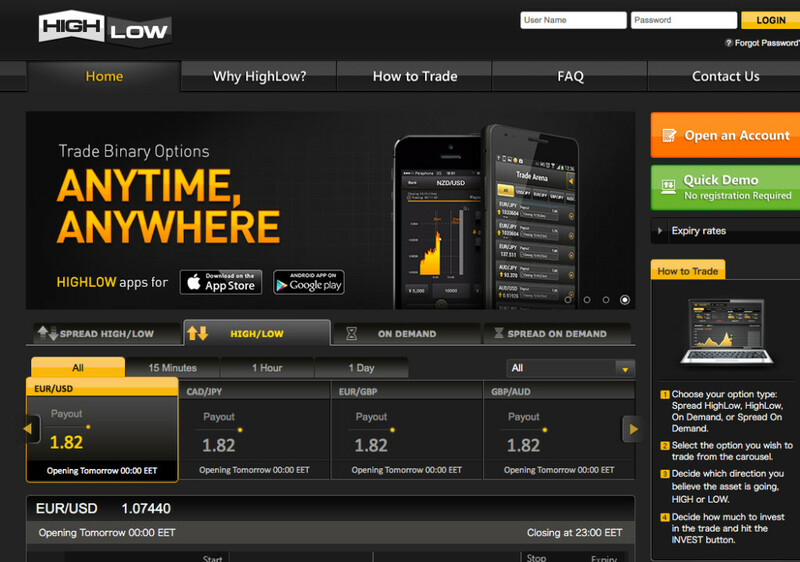 7 Binary Options review: HighLow: 4,5 stars. and thank you for the great review about Highlow broker. However I would like to mention that it’s still a non regulated broker, nor in Europe neither elsewhere. Don’t know your opinion about this important point but it certainly mean a lot for many traders. HighLow is a regulated broker, so your money is safe. Thanks for the review. I think one of the main pluses of this site is their demo account. Not sure where I heard or read this, but apparently this one is very good for Australian clients, right? Does it also apply to New Zealand? I’ve registered yesterday with Highlow and started off with 10$ i’m fairly new to this so i dont really trade in big quantities but so far its going fine. I’ve requested a 200$ withdrawal just to save what I’ve initially invested since im at 700$ now. It says 2-3 days for a widthrawal so lets hope it goes well. hello Diala, pls what strategy do u use ? HiDiala, you started with $10 and minimum stake is $10 and now you’ve got $700? You must be doing something amazingly right, please tell us more. Do you have automatic trade for people like us with no experience? 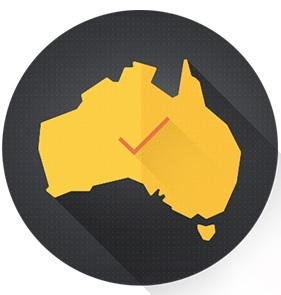 The ASIC regulation ONLY works with Australian citicents….But what about citicents from other country ? How can we be shure that you are you are “on the right side” when we are NOT covered by the wings of ASIC ?